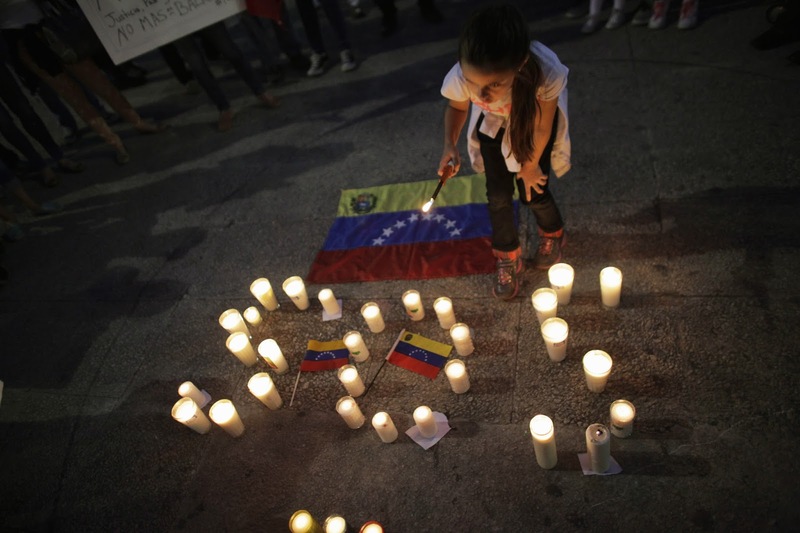 Today’s very short post looks at the news that Goldman Sachs, having recently bought $2.8 billion’s worth of bonds issued by the Venezuelan state-owned oil company Petróleos de Venezuela (PDVSA), is being heavily criticised for doing so by opposition leaders in the country. For this short post, the actual details of this sale will be scrutinised because it reveals an understanding of the philosophy of big financial institutions like Goldman Sachs, as if that were needed at this point, which is important to consistently repeat – the acceptance of such a philosophy can never be allowed to become the ‘norm’. The obvious criticism stemming from the opposition in the economically-ravaged country that is swaying from one crisis to the next, is that the bond sale represents the Bank as ‘aiding and abetting the country’s dictatorial regime’ and that, ultimately, ‘Goldman Sachs decided to make a quick buck off the suffering of the Venezuelan people’. Now, before we continue, it is important to get one thing straight – it is systemically important that financial institutions like Goldman contribute to the flow of credit in the global capital marketplace, and in that sense there should not be any criticism. So, on what grounds are the Venezuelan opposition basing their criticisms? The actual details reveal the source of the criticism when we see that the Bank only purchased $2.8 billion’s worth of bonds – they actually paid just $865 million for the bonds, or 31 cents on the dollar. The ‘fire-sale’ nature of the bond sale signifies the ‘blood in the water’ that is required for the feeding frenzy to begin, with the opposition suggesting that the cut-price sale demonstrates that Venezuelan President, Nicolás Maduro, ‘did not have the country’s best interests in mind when he agreed to the transaction’; if that is the case, then Maduro is in excellent company with Goldman Sachs. Today’s short post reacts to the news that the majority of shareholders pursuing legal action against the former CEO of RBS, Fred Goodwin, as well as the Bank itself for representing a false picture of their health before a £12 billion cash call in 2008, have apparently decided to accept a settlement offer from RBS at 82p per share, 10p less than they had hoped. For this post, the details of why this is happening are of importance, as is the fact that the country will presumably miss out on a chance to witness a group of individuals who partook in the pilfering of society be examined in a court of Law. We have only recently discussed this case here in Financial Regulation Matters, so there is little need to go into any great detail on the case itself. Essentially, in 2008 RBS had painted a picture of its health before a £12 billion cash-call that was simply not true, with those who had met the call losing serious amounts of money shortly afterwards. 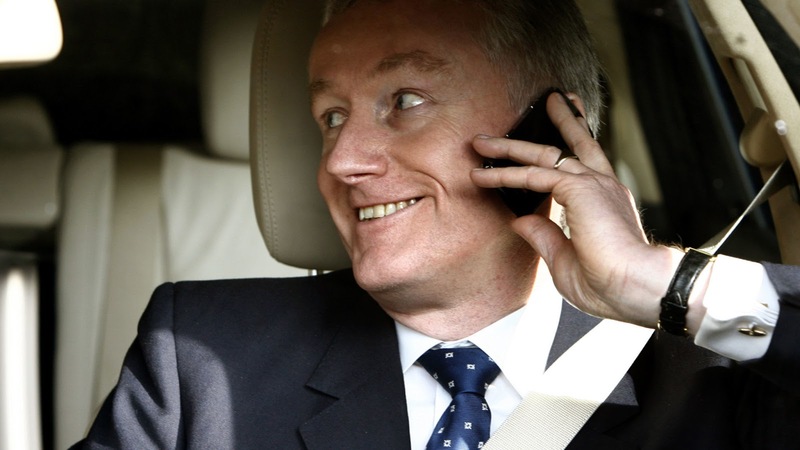 A group of 9,000 investors and shareholders had initiated legal action against the former CEO Fred Goodwin and a small number of Directors who sat on the Board at the time (the case also cites the Bank itself), but last week, just hours before the case was due to be heard in the High Court in London, RBS offered the claimants £200 million in compensation, representing 82p per share. As a result of this development, the Judge hearing the case, Judge Robert Hildyard, had adjourned the case until the 7th of June, stating that ‘we must have certainty one way or the other. The court must know whether the matter is to proceed or not’. However, news today suggests that the court will in fact know whether the matter is to proceed or not, with the RBS Shareholder Action Group advising investors involved in the case that ‘we have decided to accept the offer of 82p per share on behalf of our membership’, with 70% of claimants needing to accept the compensation offer to bring the case to a premature close. The Action Group suggest that it is in the best interest of the claimants to settle now, because the case against the individual directors is ‘mixed’, whilst it is also very likely that the Bank will appeal the decision and extend the legal process much further. Yet, the clearest indicator that Goodwin and his associates will not face the court came with the news that Trevor Hemmings, the businessman funding the claim, will be accepting the offer and, as such, withdrawing his funding. Ultimately, ‘that means that there is currently no available funding to fund the legal and other costs to take the matter to trail’; it seems the system has worked to a tee. Yes it is disappointing to hear that Fred Goodwin, the man at the helm of a bank that continues to drain the resources of the British Public even to this day, will avoid being seriously questioned regarding his actions. For the claimants who are not as well represented as Trevor Hemmings, the reality is that ‘despite the likely £200 million settlement, however, lawyers, funders and other advisers to the action group will take between 40 and 45% of the proceeds, meaning some investors will be left feeling short-changed’; yet, Goodwin is free to spend his millions. However, let us take a different viewpoint: this is not a failure of the system, but a victory. The financial elite have, yet again, been able to manoeuvre themselves so that they are best placed to pilfer, whilst the system makes it nigh on impossible to prosecute them – unless there is overwhelming evidence of fraud i.e. Bernie Madoff, then there is very little chance of conviction. Rather, the public will bear the costs of these pilfering endeavours, large investors will be able to claw some of their investment back, and the smaller ‘retail’ investors will be left to feed off crumbs. 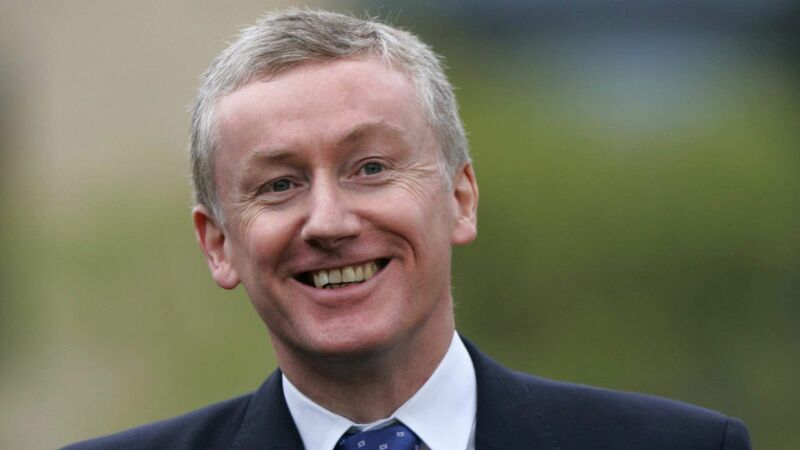 So, Fred Goodwin did not luckily ‘escape’ being publically examined, simply because this was arguably never an option in the first place. In fact, this case represents another component of the amnesia that is slowly taking hold – soon there will be no one left in the public eye associated with the financial crisis, which will be the foundation for forgetting it ever happened. Today’s post represents somewhat of an update on two posts that have come before here in Financial Regulation Matters, concerning the relationship between big business and the student accommodation sector, and then the continued increase that followed. Rather than go over these particular issues again, this post will instead analyse the conclusions emanating from the recent ‘Student Housing Conference’ held on Wednesday, and then expand this analysis to look at some of the issues that may result because of these developments, particularly in relation to the notion of equality and the impact upon studies. The recent Student Housing Conference, held in London last Wednesday, saw some of the world’s richest individuals and institutional investors flock to Covent Garden, so much so that the annual gathering ‘had grown from 200 people to more than 500’ and ‘potential buyers were forced to stand during presentations’. In addition to this, the new trend sees foreign investment flooding the marketplace, with ‘more than 70% of investment coming from overseas’ because ‘they have seen how much others have made from student housing’. The increase, which is represented by a doubling in sales values last year compared to 2013-15 combined, is one thing, but the development of standards and, crucially, costs for students, is of importance for our understanding. The newspaper article in The Guardian that discusses this issue promotes the notion that, based on research by Knight Frank, students are now ‘willing’ to pay more than £160 per week ‘if the facilities impress them’ – whatever that means. Yet, as is the modus operandi here in Financial Regulation Matters, we must question everything; so, who are these students who are willing to pay more than £640 per month for their accommodation? The newspaper article discusses the benefits of these accommodation blocks that charge increased rents, ranging from concierge services – that, apparently, will have a ‘chat’ with you if you are feeling homesick - to in-house cinemas that include ‘scarlet velvet love seats’ which, in the words of the designer, ‘at least help today’s students to behave badly’. However, both qualitative and quantitative research is clear on this issue. In terms of the origins of university students, only around 10% of students hailed from private-schooled backgrounds, with one academic study suggesting that University is now aimed at those who rely upon familial wealth – leaving the lower classes, and even the working-middle class ‘squeezed’. The author makes the point that the British Governments, of successive generations, have assumed that families have more wealth than they actually do, which has led to a model that is making the process of bettering oneself via education that much harder. Rather than ‘students’ being concerned with a helpful concierge service, or velvet seats in an in-house cinema, studies actually show students struggling to pay rent, having to accept poorer quality accommodation because of the increased costs in the sector, and working to help fund their living and course costs (often more than they are technically allowed to do so by their Universities). 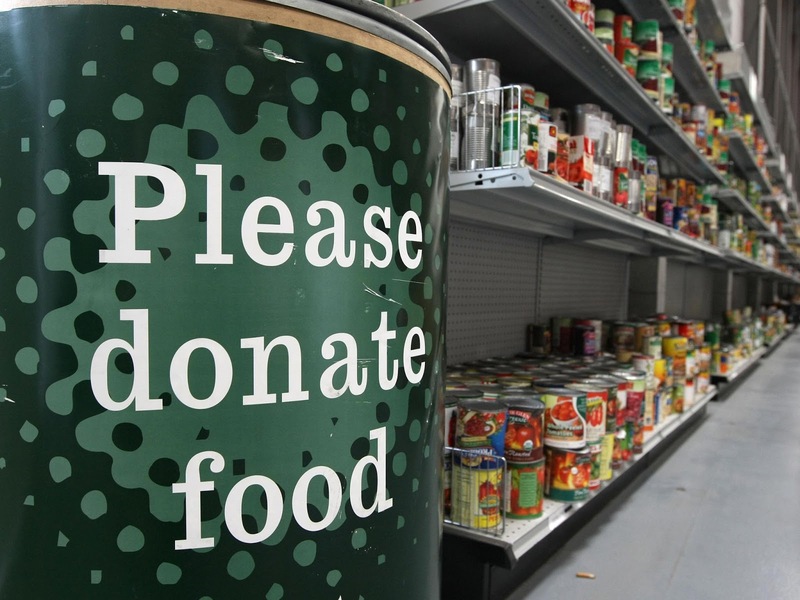 The façade of plush apartments with contemporary amenities covers the reality of an ever-increasing level of student poverty, which is demonstrated clearly in examples like the University of East Anglia establishing a food bank for its students. On this basis, the increase in foreign investment in the sector is particularly bad news for a number of reasons. The positive headlines that this increased investment brings for our politicians come at a time when the more localised student accommodation sector, one which is, for the most part, unregulated, is coming under pressure. In Warwick and the surrounding areas, to provide just one example, there is a push to rid communities of anti-social behaviour by students by forcing them away from residential communities in shared houses (for example) that are owned by private landlords, into ‘purpose-built’ accommodation. Whilst on the one hand this sounds perfectly reasonable, the other side of the equation is that these residential dwellings are affordable to a number of students, whereas purpose-built accommodation is not. Rather than regulating the residential student accommodation market more tightly, the government and local councils are seemingly more than happy to push students into the purpose-built accommodation that massive investors are flocking to because of the ‘low risk’; it is indeed ‘low risk’ for investors, because the government will continue to set the environment so that ‘consumers’ for continuously pushed towards their products. But, it is not ‘low risk’ for students. The majority of students in the U.K. do not have familial wealth to call upon. The majority of students are struggling to focus on their studies, because they have to work more than they allowed in order pay their rent, and to feed themselves. As a cohort, the modern-day students are under more pressure than before, face an appalling attack on their mental health, are being forced to use food banks for sustenance and, ultimately, are being deterred at every conceivable angle from bettering themselves and contributing, positively, to society. Even though this post absolutely detests the governmental policies of the Conservative Government, the proposals by the opposition seem to be as equally frustrating, but for different reasons – there are doubts as to the practicality of making tuition free when this current system is so entrenched in its ways; is free tuition even practicable with the current numbers of students? However, this post finishes with a point that crops up consistently here in Financial Regulation Matters – this attachment to extremes is a negative, not a positive. Why is that we must either have students being forced through the offal-machine of big business’ foray into student accommodation, leading them into a mental health/suicide/poverty crisis, or either no tuition fees at all which would likely lead to the reduction in opportunity? This is not the case, but is the one that is presented. It is not unimaginable that residential landlords are held to account for the actions of their student tenants so that communities do not suffer the blight of an unregulated market, whilst it is also not unimaginable that some of the money that is raised via increased tuition fees could be reinvested into purpose-built student accommodation that is not at the mercy of large institutional investors, making it a realistic possibility that poorer students would be available to afford such surroundings without having to starve themselves in the process. In all the stories emanating from this explosion of interest, one element is consistently missing – for the student to prosper, they must be allowed to focus on their studies and give everything they have to their own development; how likely is it that a student will be focusing upon their studies as they make their way to a food bank? Today’s post previews the third article this week, one which analyses the recently proposed ‘Financial CHOICE Act’ in the U.S., particularly by way of assessing its proposed regulation for the credit rating industry. The article, entitled ‘The Financial CHOICE Bill and the Regulation of Credit Rating Agencies: Opening the Gates for the Gatekeeper’, is to be published in Financial Regulation International and is available here in its pre-published form. For this post, the aim will be to preview the article and provide some critical analysis of the bill, all from within the parameters of understanding that the Bill represents, quite clearly, the ethos of what this author calls ‘regulatory amnesia’. The ‘Financial CHOICE Act’, with ‘CHOICE’ being an acronym of ‘Create Hope and Opportunity for Investors, Consumers, and Entrepreneurs’, is a remarkable proposal that is currently at the Bill stage in the development of American legislation, with it recently moving past the House Financial Services Committee stage (after amendments) with a vote of 34-26 to the full House of Representatives (potentially around August). The Bill, which seeks to repeal a number of elements from the Dodd-Frank Act of 2010, is the brainchild of a small number of Republican Representatives, led by Jeb Hansarling. The proposed Act seeks to do a number of things, with a few gaining the majority of the headlines. Firstly, it proposes to repeal the ‘Orderly Liquidation Authority’, which allows the Government to step in and provide liquidity (via so-called ‘quantitative easing’), in order to eliminate, supposedly, ‘too big to fail’. It then goes on to proclaim that bank testing procedures should be altered, so that systemically important banking institutions need only be tested every two years, as opposed to every year now. It proposes that the cap on the amount that banks can charge retailers for processing credit and debit card fees should be lifted – something which is being vociferously opposed even at this early stage – whilst it also aims to, rather incredibly, weaken the Consumer Financial Protection Bureau which would see its role reduced and also its independent status substantially altered. We will come back to some of these issues shortly, because the Act does have support from a number of different sectors; yet, for us, we shall concentrate on the proposed regulation of the credit rating agencies. The article discusses the proposed regulation of the agencies in the Act, and concentrates upon four specific sections which stand out in this regard. The article discusses these in more detail, of course, but section 852 seeks to remove the mandatory requirement for agencies to state how they will release information regarding their methodologies – the obvious lack of stated oversight essentially removes this requirement. Section 853 removes the requirement that the agency’s CEO attest to the integrity of the internal controls within their agency, whilst simultaneously removing the requirement to disclose whether the rating was, or could have been affecting by any ‘business activities’. Section 856 removes the firewalls between the marketing and rating divisions of an agency – which, to pause for a moment, is a quite frankly ludicrous proposal – and section 857 removes a number of Dodd-Frank elements in one foul swoop, including the need to prove ‘state of mind’ – something which recently resulted in S&P and Moody’s being unable to manoeuvre away from their guilt -, the requirement to look at alternative models – thus cementing issuer-pays – and finally the Act brings back the exemption of ‘expert liability’ to protect the agencies from litigation. This author, in almost every piece written, argues that we must focus on the agencies as they actually operate, and not how we would like them to, and in that sense it is not a difficult endeavour whatsoever. The U.S. Senate, in an extensive investigation, published a 600+ page document shortly after the Financial Crisis in which the agencies were found to be fundamentally central to the Crisis. The two recent fines levied by the U.S. Department of Justice against the Big Two, totalling over $2 billion (as discussed earlier here in Financial Regulation Matters), detail the agencies’ failings and suggest, overwhelmingly, that the agencies consciously act against everyone for profit and protection. This proof is not something to discard, or downplay – it is evidence of criminality. With that in mind, the proposals included in the Financial CHOICE Act are not only reckless, but actively threaten the American (and, by default, the Global) society. There are a number of calls within the media, and some official bodies, that support the Act. The Congressional Budget Office recently suggested that the Act, if enacted, would reduce the federal deficit by $24 billion over a 10-year period. Others have suggested that ‘the reality, however, is that the current financial regulatory system isn’t working’. Both of these viewpoints miss the point entirely, and it is vital that we detach ourselves from the poisonous and short-sighted allegiance to political ‘wings’ in order to survey the situation accurately. If the system isn’t working, it is not because of inefficient regulation, but because just ten very short years ago the financial elite conspired to pilfer the resources of society on a systemic scale. The Act may reduce the federal deficit by $24 billion, a deficit that currently stands at over $500 billion, but at what cost – at placing a bet with the safety of American citizens on the decency of the financial sector? This proposed Act is truly the epitome of short-sightedness, and if it were to be enacted would become to historical posterchild of the concept of ‘regulatory amnesia’. Ultimately, it is vital that political party ideologies are removed when something so important is at stake – the response to the proposed Act suggests that the reality is exactly the opposite. Today’s post previews a forthcoming article by this author, to be published in the International Business Law Journal, entitled ‘Credit Rating Agencies and Environmental, Social and Governance Considerations: A Long Road Ahead’ (the pre-published version can be found here). In this post, the topics that the article focuses upon, as well as its conclusions, will be reviewed against a discussion regarding a particular movement that is currently gaining prominence within the world of big business. After consultation by the PRI in 2015 with its members and interested observers, it found that that 78% of those surveyed wanted to see ESG concerns incorporated more explicitly into the ratings of the agencies. The article discusses how, prior to this concerted effort by the PRI, the business practices of the rating agencies were heavily criticised by the PRI for simply not doing enough, with interested onlookers scoring the agencies 2/10 for their efforts to incorporate ESG into their thinking when formulating ratings. The agencies responded by saying that they will adhere to the ideology, although the technical elements ‘may be defined differently’ and may not, necessarily, be labelled as typical ESG considerations. Yet, the article surmises that the noises coming from the agencies is the same as usual, and that when viewed in relation to the recent history of the agencies, the real reason for the apparent adherence to the PRI becomes clear. Simply put, the leading rating agencies – S&P and Moody’s especially – have recently suffered an overt blow to their reputation. The recent fines of $1.35 billion and $730 million to S&P and Moody’s respectively has been covered in Financial Regulation Matters already on the back of two articles by this author, so there is little need to go over the actions of the Department of Justice again, but what is important for us is that the agencies – for the first time since receiving the coveted NRSRO status in the mid-1970s, have felt it necessary to respond to bad publicity (usually it does not matter). Whilst this author has no reason to believe that the agencies are worried about their position, because the agencies are well aware of the strength of their position, it is fascinating to see the agencies scramble to repair their reputation. Or is it? Again, as this author repeatedly calls for, it is vital we look at the agencies as they actually are, and not how they may appear to be, or even how we want them to be. This author has an article under consideration at a journal that looks at the real reason for this move into ESG and sustainable finance by the agencies, and the conclusion is that it is not to assist in the increase in responsible investment (a post will follow the acceptance of that article here in Financial Regulation Matters). No, then, the agencies are not adhering to the principles of responsible investment but are paying lip-service to the extremely important ideal; the article concludes by stating that the partnership between the agencies and the PRI demonstrates two important aspects: firstly, it shows the continuation of the unwavering support by the state and its connected organisations with regards to having faith in the agencies to act in the interests of anyone but themselves; secondly, the partnership heralds the beginning of a concerted ‘charm-offensive’ by the agencies, which is an attempt to heal some of the reputational damage caused by recent settlements and admissions. These elements are important to remember – because there may be a more sinister reason for the agencies’ movements (more to come on that front in the next article) – but most importantly it is vital that, for whatever reason, we do not succumb to the relatively easy conclusion that the agencies have learned their lesson – they have not, and nothing they say should change that; only the cessation of the institutionalised and transgressive business practices can change that. On the 2nd of April here in Financial Regulation Matters, this author discussed the wave of ‘Deferred Prosecution Agreements’ being utilised by the Serious Fraud Office (SFO) – including the £497 million fine given to Rolls Royce and the £129 million fine given to Tesco – and concluded that the SFO represents, possibly, the most effective financial regulator in the U.K. because of its endeavour to punish, albeit based upon the realistic understanding that the financial elite are too protected in their positions to pursue with criminal convictions. 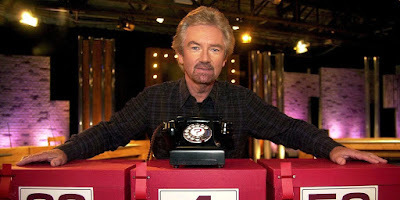 Today, in the Conservative Party’s manifesto, the party pledged that they ‘will strengthen Britain’s response to white collar crime by incorporating the Serious Fraud Office into the National Crime Agency, improving intelligence sharing and bolstering the investigation of serious fraud, money laundering and financial crime’; so, for this post, the focus will be on whether this move to merge the two agencies is justified, or whether it is yet another example of the financial elite being protected. The SFO has had, in the words of a BBC article on the Office, a ‘chequered history’. Set up in response to a string of financial scandals in the 1970s and 1980s, the Serious Fraud Office was established as part of the Criminal Justice Act of 1987 and was operational a year later. Although the SFO have, over the years, been involved in a number of high profile cases, not all were successful and, as part of a media campaign criticising the Office, the SFO was branded as the ‘Seriously Flawed Office’ – particularly because of the high profile acquittals like that seen in the case against the Maxwell Brothers. A number of cases pursued by the SFO have hit the headlines because of the costs involved compared to the rate of conviction, with notable examples being the 1994 Brent Walker Trial, and the 1992 Blue Arrow case, which cost £40 million each and resulted in acquittals or successful appeals for all those accused. Although there have been some successes, the appointment of David Green signalled a sea-change in approach, with Green recognising that, rightly or wrongly, the chances of obtaining serious white-collar convictions are extraordinarily low. In response to this realisation, the SFO adopted the American practice of Deferred Prosecution Agreements – better known as ‘settlements’ - and have been steadily punishing and retrieving monies for the national fund with which, theoretically speaking, they could continue their approach in punishing fraudulent companies and individuals. However, in 2011, the then Home Secretary Theresa May campaigned, unsuccessfully, to dissolve the SFO and merge it with the National Crime Agency (and also send some of its lawyers to the Crown Prosecution Service). Criticism was aimed towards the SFO for not being proactive enough, and for also settling with the accused before trial. However, the reality of the situation is that the SFO is particularly underfunded, with the reality being that the SFO currently has an operating budget of £53 million which, when contextualised against the National Fraud Authority’s claim that there is £73 billion worth of Fraud in the U.K. every year (the equivalent of £1,030 for every British citizen), is demonstrative of the uphill battle facing the SFO. The OECD, only in March of this year, recommended that the British government provide more funds for the SFO in order to better combat the spread of bribery; the fear is that the U.K., and London in particular, is becoming a money-laundering capital – and this is before the U.K. officially leaves the E.U. where the fear is that the U.K. will dispose of its regulatory standards to attract business. So, can we say that the decision to dissolve the SFO is one that is in the ‘national interest’? Can we say that the dissolution of the SFO will deter fraudsters, white collar criminals, and money launderers, from operating within the U.K.? Time will tell, of course, but this author suggests not. It appears that Theresa May has gotten her way, finally, and will see a department that is attempting to make some headway into an arena that no government department has made headway before be dissolved for doing so – what sort of statement does that make to the regulators of the present and of the future? A partner at the law firm Eversheds, Neil Blundell, is quoted as saying ‘after 30 years in existence, the SFO was just starting to show it had teeth in the fight against fraud’ and now its existence is being threatened. The passive will probably surmise that the National Crime Agency may stand a better chance at battling fraud and corruption, but there is a much bigger issue at play here. 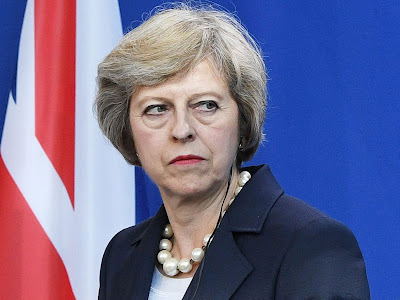 Theresa May, in whatever official capacity she has been in, has realised that the financial elite are being punished and has made it her personal business to disrupt that punishment. She had placed the push to lighten the load of white-collar criminals squarely within her manifesto, and very little is being made of it. Any news cycle will contain the threats posed by terrorism, immigration, people in receipt of state benefits, and now even the ideology that pensioners need to contribute more to the system – but white-collar crime barely gets a mention. Need one say any more? Labels: Conservative Party, Fraud, Serious Fraud Office, white-collar crime. Today’s short post acts as an update to the March post in Financial Regulation Matters that discussed the bank’s fraudulent creation of up to 2 million fake bank accounts, for which it was fined $185 million. However, news over the past few days has revealed that, in fact, up to 3.5 million unauthorised customer accounts may have been opened instead. This post will therefore assess these claims and will then go on to look at what this ever-developing scandal is doing to Wells Fargo’s reputation – ultimately, the claim by major investor Warren Buffett, that the scandal is not materially damaging, may have already started to be proved wrong by developing events. As this issue has already been discussed in Financial Regulation Matters, there is little need to go over the scandal in any great detail again (a quick review of the scandal can be found here also). However, for us, the news that the 2 million figure for unauthorised bank accounts is likely to be increased upon investigation is worthy of the headlines that the development is generating. Lawyers acting for some of the claimant customers have suggested that the higher estimate ‘reflects public information, negotiations, and confirmatory discovery’, to which Wells Fargo responded by saying that the new estimated figures were based on a ‘hypothetical scenario’ and did not reflect ‘actual unauthorised accounts’. 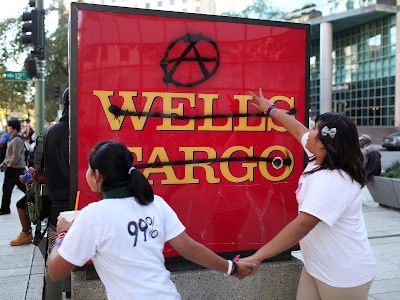 The lawyers, who are seeking a settlement worth $142 million for their clients, claim that the settlement figure ‘fairly balances the risks’ for their clients (with regards to further litigation which they may lose), but Wells Fargo have not raised their settlement offer to more than the original $110 million they initially offered – however, the bank is only focusing upon fake accounts opened since 2009, whilst the claimants are focusing upon unauthorised accounts dating back as far as 2002. Yet, there are more revelations which mean Wells Fargo will likely increase its settlement offer. On top of the alleged increase in fake account numbers, recent claims by former employees, and even cities, are claiming that the practices of the bank were, and arguably are, inherently discriminatory. Recent court filings show how former employees declared that Wells Fargo employees were targeting Native America. College students, and immigrants in order to open unwanted accounts in their names. In addition to this, the City of Philadelphia is alleging that the Bank’s lending criteria is demonstrative of ‘longstanding’ discriminatory practices, with the court filings including analysis that shows that 23% of the Bank’s loans to ‘minority’ customers were high-cost or high-risk, compared to just 7.6% of loans made to white borrowers, which has ultimately led the City to claim that Wells Fargo have violated the Fair Housing Act by ‘taking advantage of minority borrowers to maximise profits’. The lawyers representing Philadelphia are making the obvious connection to the accounts scandal, by intimating that the complete breakdown of internal controls demonstrated by the accounts scandal have also contributed to the breakdown of controls regarding lending practices; it is unlikely to be a difficult case to make, because the Bank settled with the US Department of Justice in 2012 for $175 million for race discrimination, precisely along the same lines – this is, unfortunately, not a problem that just plagues Wells Fargo, with Bank of America in the crosshairs of Miami for exactly the same practices. Ultimately, the Bank is under siege, and rightly so. Warren Buffett, speaking earlier this month, declared that he would not be surprised if Wells Fargo’s systems were now not better than any of its competitors with regards to flagging bad behaviour, but this is nothing more than hyperbole at best – let us look at actions rather than imagined or desired behaviour. Rather than Buffett’s ludicrous suggestion that ‘they obviously came up with an incentive system that incentivised the wrong thing… most business do that from time to time’ and ‘I knew John Stumpf and I don’t think it had anything to do with making money’, let us consider (if claimant lawyers are successful in proving) that the Bank has illegally been creating fake accounts and attributing accounts to those without the financial acumen to know what they are doing, for fifteen years. Let us also consider that the Bank doesn’t actually know how many fake accounts it set up. Let us consider that the bank established a lending policy that is directly leading to segregation in many communities within America in 2017. Yes, let’s consider all those things, and not what Buffett suggests we should, because ultimately Wells Fargo represents the very worst of big business. It shows, on a daily business, why financial penalties are simply not a deterrent – they pay the fines and settlements and continue unabated. John Stumpf and the leaders of Wells Fargo are prime examples of when corporate crime should be regarded as crime, irrespective of perpetrator; lengthy custodial sentences are the only deterrent, not retiring and taking $133 million at the same time. Today’s post looks at the recent news that the value of finance deals for the purchasing of cars in the U.K. set a new monthly record in March, concluding at an increased rate of 13% over March 2016, totalling over £3.6 billion in March 2017 alone. We have discussed the issue of the automobile (car) finance bubble growing before here in Financial Regulation Matters, but the nature of the consistent growth means it is worth assessing the situation again because, ultimately, what looked like a relatively small ‘bubble’ is increasingly appearing to resemble much larger bubbles that have burst before, with catastrophic effects. Whilst the bursting of the car finance bubble may not grind the economy to a screeching halt, it will have a detrimental effect upon a global economy that is still recovering from the onslaught of 2007/08. 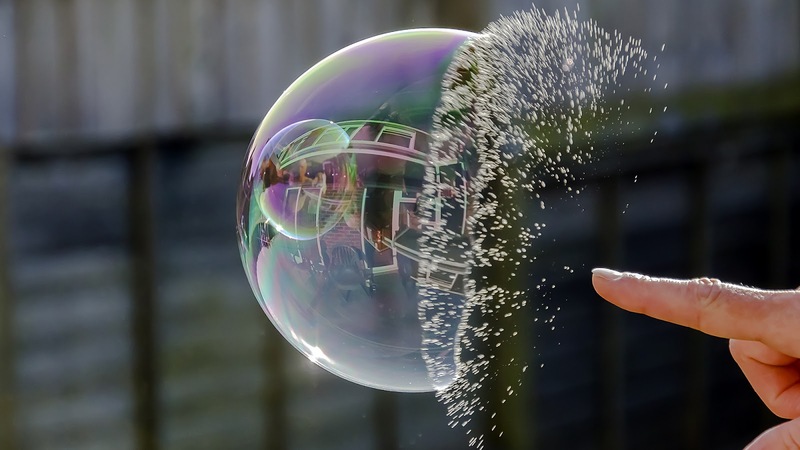 So, in light of this, this post will assess some of the important aspects that are continuing to be prevalent, whilst also assessing the potential for the introduction of a certain variable that could expand this bubble to a size that few had imagined. The Bank of England (BoE) and the Financial Conduct Authority (FCA) have already raised concerns about the growth of lending within the car finance industry. In April the BoE declared its unease at the rate of growth within the consumer credit market, which reached a growth rate of 10.9% late in 2016 which represented the largest rate of expansion since 2005. Currently, the FCA is investigating a number of car deals and their sponsors, because of a fear regarding a ‘lack of transparency, potential conflicts of interest and irresponsible lending in the motor finance industry’, to which the head of motor finance at the Finance & Leasing Association, Adrian Dally, responded ‘lending is responsible. This is a sustainable model going forwards’. In addition to this, some economists have sought to dampen down fears by affirming that because motorists, under the terms of the oft-used ‘personal contract purchases’ (PCPs) – a system whereby motorists effectively repay an interest-only loan that covers the car’s depreciation and then roll-over onto a new contract at the conclusion, thus developing a cycle of debt if the car is not purchased at the end of the contract -, can return their cars if they cannot afford repayments, there is actually little systemic risk because the risk is carried by the manufacturers and financing vehicles. This claim is somewhat accurate, but there are variants to the viewpoint to consider. Firstly, a customer can return their car because they cannot afford the repayments, but only after they have paid over 50% of the Total Amount Payable (not the total amount borrowed), as determined by the Consumer Credit Act 1974. Also, the fear of negatively affecting one’s credit score is removed because although the ‘voluntary termination’ must be recorded on your credit score, the reason for doing so is not, and there are a multitude of reasons why a Voluntary Termination may be initiated. Whilst these technical issues may allay fears, the potential of external forces affecting the situation do not. There are fears that an economic downturn could cause the record numbers of people who have purchased cars via finance deals to renege on their financial agreements (even before the 50% threshold is reached). This is based, mostly, on the persistent suspicion that reckless lending lays behind this boom, which is precisely the reason for the regulators’ investigations into such practices. Whilst, technically, the opportunity to remove oneself from the financing deal does exist, the many variants of financing deals, when combined with the understanding that financial education is worryingly lacking in society (as already discussed in Financial Regulation Matters), means that many customers do not know their rights or the acute details of the deals they have entered into; for this reason, some have begun to construct an obvious link between this current bubble and the massive Payment Protection Insurance (PPI) scandal that engulfed the financial sector a number of years ago. Also, to relate the issue back to the one of systemic risk, some onlookers have rightly noted that the leading financial institutions all have connections to this area of finance, with one example put forward being Lloyds Bank that, through its Black Horse brand, is the biggest provider of car loans outside of the manufacturers themselves – there is a systemic risk. However, there is a much more worrying factor with regards to systemic risk. While there is a lot of focus on the situation in the U.K. and the U.S., there realisation of the same opportunity in China is, arguably, of the most concern. It was suggested recently that the perception of borrowing amongst the young in China is different from China’s older generations, which Chinese financiers are suggesting ‘offers a great opportunity for e-commerce automotive transaction platforms’ to develop, based on the fact that only 35% of car transactions in China last year involved financing. The numbers that are coming out of China currently – one company recently floated $294 million worth of asset-backed securities on the Chinese market – will not cause much concern now. However, with China recently reporting having 240 million car owners last year – a record -, there is an obvious opportunity for a rapid acceleration in finance deals and that alone should concern us all. Such an expansive marketplace will be music to the ears of international investors, and particular to the ears of international financing vehicles that will compete to provide the financing to meet the massive demand – whether China allows that to happen is another story entirely, but the capacity to fuel the bubble certainly exists. Ultimately, regulators must seek to root out cases of mis-selling or unscrupulous practices before it is too late. Yes the bubble will not grow to the size of the housing bubble that exploded and wreaked havoc upon society in 2007/08, but that is beside the point. The proximity to the last explosion makes this bubble all the more dangerous, because a massive tremor to this fragile economy could be just as dramatic. The potential entrance of hundreds of millions of Chinese consumers to the bubble means that regulators must do whatever is necessary to uncover poor practices and, potentially, seek to educate people as to the dangers of borrowing in this environment based upon a shaky foundation. However, that will take a lot of time and resources and, regrettably, it is likely that the bubble would have burst before those type of socially positive endeavours are even considered. In today’s post, the focus will be on something more existential than is usually the case here in Financial Regulation Matters. In what is, perhaps, an indulgence, today’s post will look at the recent comments made by legendary investor Warren Buffett regarding the failed takeover attempt of Unilever by Kraft-Heinz and its partner 3G. Buffet spoke in relation to the criticism that is being directed towards the practices of 3G – particularly regarding its ‘predatory’ behaviour and its penchant for cutting costs by any means necessary, as was previously discussed in Financial Regulation Matters – to which he responded that 3G was only following a ‘standard capitalist’ approach. In light of this, we will take a closer look at the story, but then expand the discussion to a call for the need to consider systemic issues, like Buffett does, rather than have our vision clouded by micro-issues. There is little need to review the whole process of Kraft-Heinz’s failed takeover attempt of Unilever earlier this year, as it has been covered extensively. Simply, Kraft-Heinz, which is owned (by way of a majority) by Buffett’s Berkshire Hathaway and Brazilian Billionaire Jorge Lemann’s 3G, tabled a £115 billion approach to take-over the Anglo-Dutch company Unilever. The deal garnered attention, primarily, because it represented what one onlooker accurately described as a ‘collision of two very different models of capitalism’, and it is that systemic duality that is of interest here. Unilever is renowned for its commitment to sustainable prosperity by way of contributing to and developing social and environmental goals, with its CEO Paul Polman, who had trained to be a Priest, affirming his belief that ‘a purpose-driven business can be profitable… I don’t know where this notion that it can’t be comes from’ – a fitting sentiment for a company that has its origins in a Victorian-era mission to promote hygiene across England. This is not to suggest that the company is angelic in any way, because it has received criticism in the past, but ideologically the company differs greatly from those who wanted to take over the company. 3G, as a firm, are renowned for their approach, which usually entails intensive cost cutting, job losses, and eventually asset stripping, whereas Buffett is globally famous for his shrewd and calculated approach to investing, which will often see companies transformed and rearranged beyond recognition so that the maximum amount of profit can be made – this author is reminded of Buffett’s masterful approach to the acquisition of the century-old credit reporting firm Dun and Bradstreet (D&B), in which it was Buffett’s intention to acquire Moody’s credit rating agency at a discounted price. Through a process known as ‘stock arbitrage, Buffett would ‘spin off’ Moody’s from D&B and would leave with Moody’s in his pocket for the incredible price of just $139 million – he has made this money back and then some, given Moody’s’ rapid growth over the last two decades. Yet, Buffett, one of the world’s richest people, suggests that he has a ‘defect’ in that he wants to be more focused on ‘efficiency’ like 3G are with their businesses. In defending 3G’s practices, Buffett suggested that the cost-cutting job-cutting approach is ‘pro-social in terms of improving productivity’ and that 3G ‘have been very good about severance pay and all of that, but they have followed the standard capitalist formula, market system formula, of trying to do business with fewer people’. For this author, this sentiment is the root of the majority of problems in today’s world. Reading about Paul Polman, it is hard to ignore the polarity between these two approaches to doing business. Speaking in 2015 about the fact that Unilever had missed market projections for their performance in six of the previous eight quarters, Polman argued that the problem was not with Unilever, but with market forecasters: ‘Analysts have over-optimistic expectations’ and ‘we would be a hostage to the financial market if we ran this company judged on expectations’. Polman’s criticism allude to a much bigger problem, and that is something that this author is currently examining in a forthcoming book – the role of economic empiricism. This devotion to the marketplace, via the ideological support of favoured economists, is nothing short of a blight on our society. Economics, as a discipline, is a noble discipline that seeks to examine the formulaic impact of the marketplace, which of course is absolutely necessary. However, this insistence upon conducting business in the most efficient and effective way possible is not ‘capitalism’, it is ‘predatory’, and there is a massive difference between the two. 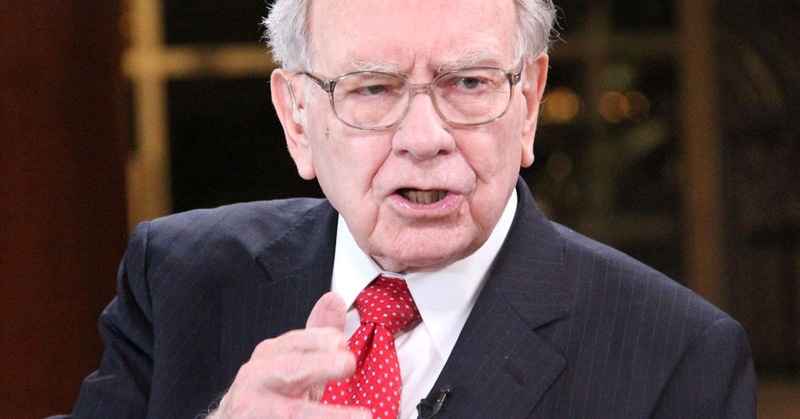 Buffett’s regret at not being more like his partners at 3G is demonstrable of an underlying greed that is consistently and ideologically supported by certain Economists who proclaim that this yearning for ‘efficiency’ and ‘effectiveness’ – those implicitly-destructive buzz words – should extend beyond the marketplace onto all areas of society. This sentiment needs to be resisted at every turn, and Unilever should be (and were) applauded for rejected the advances of such an ideology. Ultimately, this stance may be framed within certain political parameters, but that would be missing the point. This author does not reject capitalism, but argues, as Polman does, ‘who says’ that this promoted version of capitalism – what is referred to here as ‘predatory capitalism – is how we should conduct business? It is true that the Right-leaning parties advance this version of capitalism, but it is important to remember that it is underpinned by a movement within certain sectors of academia that need to be challenged. It is simply not the case that taking over a company, reducing its costs, removing its workforce, and ultimately stripping its assets, is an appropriate form of capitalism – it is not. Unilever demonstrate, quite clearly, that if we turn our attentions away from the white-noise that is economic empiricism, or ‘economic imperialism’ as it was once known, and focus upon the fact that there is more than enough money to go around whilst not actively operating against everyone who is not one of your shareholders, then many of the devastating societal issues that are nothing short of a blight upon society would arguably be removed. Remove the glamour of Buffett’s riches, and you are left with a man who represents something that is truly antisocial.